Mexican Independence Day is nothing short of a big deal across not only the nation, but in Mexican embassies and consulates across the world. Born on September 16th 1810, in the small town of Dolores Hidalgo in Guanajuato state, it was sparked by the grito de independencia (cry for independence) of priest Miguel Hidalgo y Costilla. However, only since 1825 has September 16th been celebrated officially as Mexican Independence Day, due to the near decade of war that followed the historic grito. Nowadays the country becomes a hotbed of excitement on that day; bathed in the colors of the Mexican flag, rich with the smell of freshly made pozole and enchiladas, before bursting into life on the evening of September 15th to celebrate the start of the War of Independence which ultimately liberated the country from Spain. Here are all the ways Mexico celebrates their independence during September 15th and 16th. In some places, people will go out and wear typical Mexican dress, whereas in others you’ll just see swathes of green, white and red. From face paint to flags, football shirts to color-coordinated toddlers, you really ought to wear the national colors on Independence Day if you want to blend in. Often, there will be bailes folclóricos (traditional dances), at which you can marvel at the truly typical dress. Tequila is the most popular drink of the celebration, with almost three quarters of Mexicans claiming it as their drink of choice during the festivities of the 15th and 16th. Join them and head to one of Mexico City’s popular tequila bars to soak up the booze and the atmosphere. Alternatively, celebrate in a less inebriated state with a warming, hearty bowl of pozole. This spicy pork broth, filled with corn and topped with radish, lime juice and chili sauces is arguably the most typically Mexican of all the dishes you could enjoy on Independence Day. For Mexico City dwellers and visitors, the zócalo is easily considered one of the biggest and best places to ring in Mexican Independence Day on the night of September 15th. This large, historic plaza fills with people and is the site of numerous Independence Day traditions, the first of which is the ringing of the bells. Done to mirror Hidalgo’s ringing of the bells way back in 1810, the honor now falls to the Mexican president, Enrique Peña Nieto, who carries out this task at around 11pm on the night of the 15th. While in the 1900s it may have been typical for the Mexican presidents in their final year to head to the historic birthplace of the Mexican Revolution, Dolores Hidalgo, to dar el grito, nowadays it is simply re-enacted in the Palacio Nacional. The president comes onto the balcony and leads the crowds in the cry for independence, which memorializes the leaders of the Mexican War of Independence, such as Hidalgo, Morelos and Allende, before closing with a triplicate of the patriotic ‘¡Viva México!’. This shout reverberates across the country, as towns and villages host their own individual celebrations. After the cry for independence has been uttered, there is a moving rendition of the Himno Nacional Mexicano (Mexican National Anthem). If you’re celebrating in the zócalo, you can’t help but be taken in by the patriotic atmosphere – even if you do remain a little fuzzy on what they’re actually saying. A rough translation unsurprisingly reveals that most of the lyrics focus on war and victory. If you’re in Mexico City, the musical entertainment post-grito will consist of the military band playing, before a generally free concert begins. This free concert tends to feature more commercial, popular musical acts and is a huge part of the evening’s celebrations. Other locations around Mexico will also have something more traditional, such as a marching band, before the sounds of other music take over the festivities. Look out for mariachi bands and plenty of banda dancing (you either love it or you hate it!) It varies from location to location, but there will definitely by music wherever you go. Alternatively, you can paradoxically avoid Mexico altogether and head to Las Vegas. An increasingly popular option, for those with the funds to do so, is to cross the Río Grande in order to celebrate Independence Day in the US. Although it might seem counterproductive to leave the country in order to celebrate its freedom, more and more Mexicans and Latinos are choosing to do just that. In fact, huge concerts are arranged every year with big-name Spanish language acts. 2015 saw sets by Shakira and the infinitely popular Mexican singer, Luis Miguel. The day after the festivities, Mexico is up and about again to watch the parades that swarm the streets of every town and include participation from emergency services workers, soldiers, and schools. 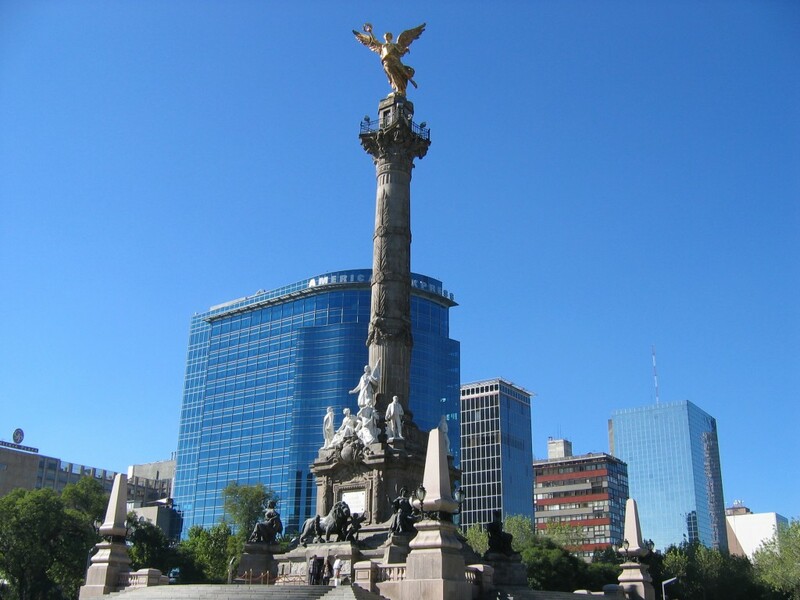 If you find yourself in Mexico City, the march is exclusively military and starts at the zócalo before heading to the Hidalgo memorial, and finishing on the Paseo de la Reforma, which passes the Ángel de la Independencia and many other famed monuments. A moving, if somewhat hungover, moment.